Angelita Bar/Counter Stool features a highly distinguished, unique design that will impeccably decorate your home. 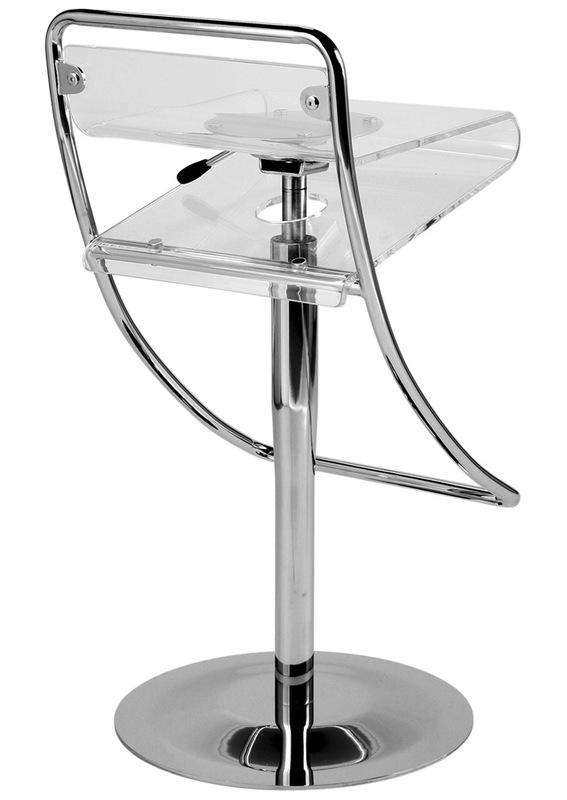 The stylish chrome-plated base and frame will go perfectly with a clear frame. 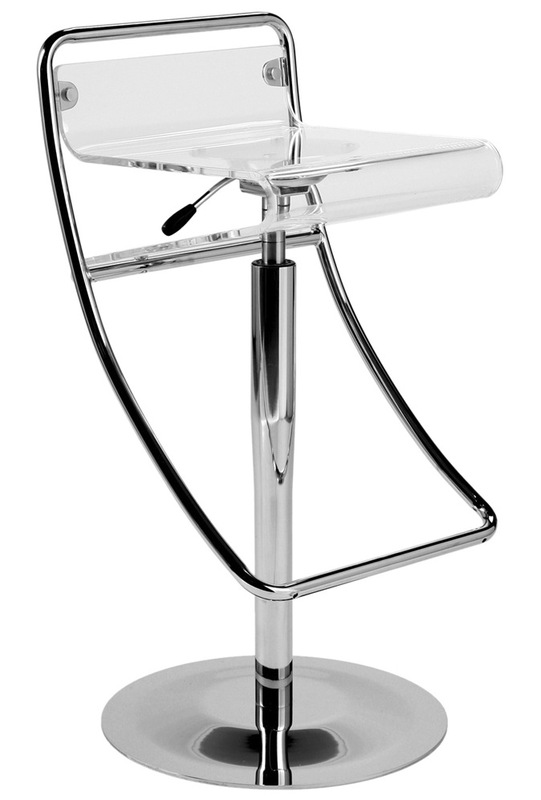 The smooth, gently contoured curves and chic footrest of this stool ensure your most delicate comfort while you relax. 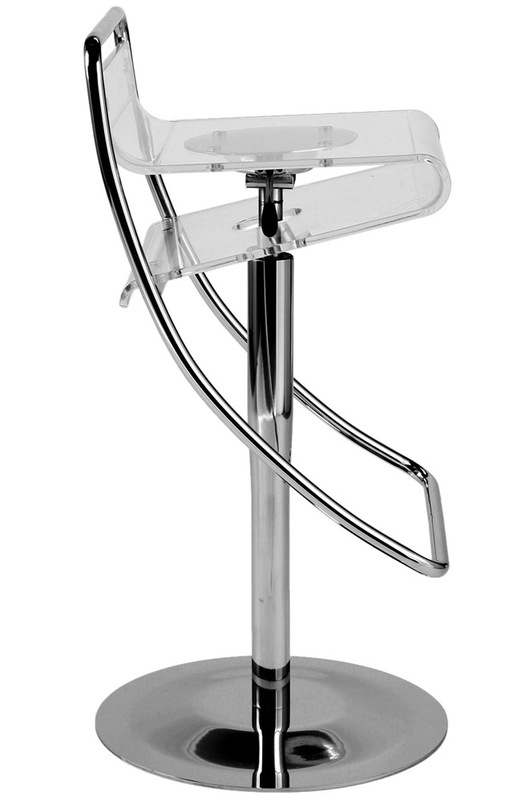 The adjustable height seat means you can effortlessly go from counter height to bar height at your convenience.